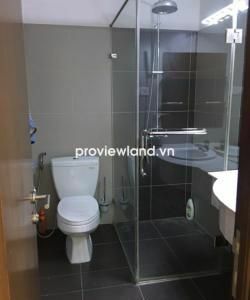 Vinhomes Central Park Residence project is the hottest project at the present with impressive design and modern art, but it still keep a harmony trait with natural Saigon it is. Vinhomes Central Park Residence is analyzed by experts to have a withstand design preventing the heat outside apartment to ensure the indoor temperature is always cool. Vinhomes Central Park Residence scales total area of over 43.91 hectares. Building density of Vinhomes Central Park apartment is approximately about 16% of the whole area. Most of the rest area designated as a scenic campus and residential utility. 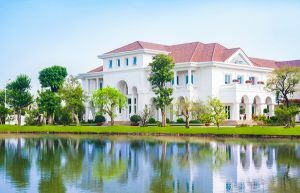 That makes Vinhomes Central Park have a truly attractiveness to many people especially to foreigners and Vietnamese who want to invest in to this project. Vinhomes Central Park Project is divided into several main areas which meets a wide range of entertainment and hobbies of people staying here. 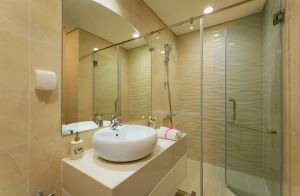 + Modern and luxury apartment: Includes apartments and officetel (from 1-4 bedrooms) / apartment duplex / penthouse. 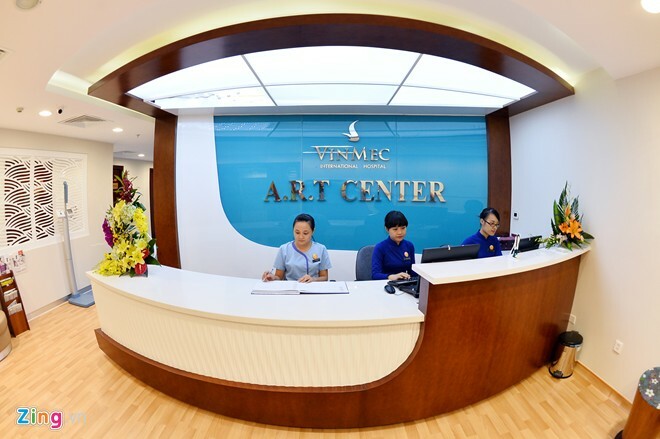 + Vinschool is an associated-level education system from Kindergarten to Elementary, Middle School and high School which are invested by famous Vingroup. + Vincom Center is designed according to the "all in one" way including the shopping center – food shop and entertainment center in an area of 59.000sqm. + Unique cruise harbor on Saigon River is completely different point which Vinhomes Central Park Residence present to business men and foreigners having a different favorite. 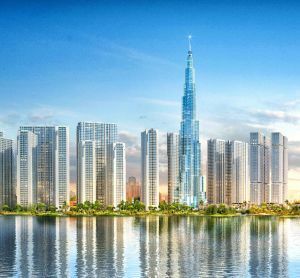 +Financial Center built with over-350-meters-high of 81 floors is the truth shows that Vinhomes Central Park Residence go farther than many investor in Vietnam real estate market. 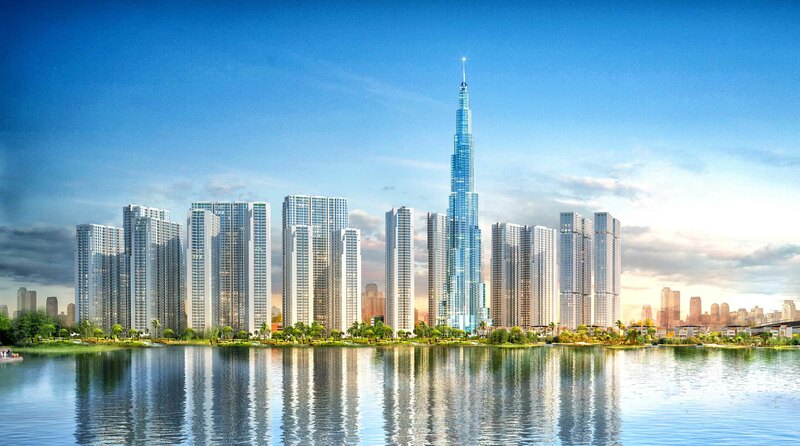 It is expected to set a new record high of building tower in Vietnam. 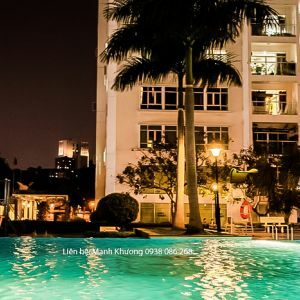 Building of this new record will be planned with high-class shopping, offices for rent, apartments for rent and for sale, serviced apartments, commercial apartments Officetel, 5-star hotel. + Vinpearl consist of about 450 presidential luxurious rooms with restaurant and modern Sky bar ... the 81-floors Landmark will also become a symbol of dynamism and prosperity of the city, and is a new attractive discovery place for people in the country as well as international tourists. 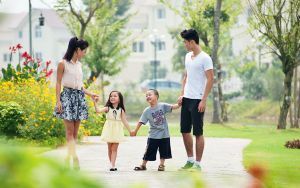 + The area of Vinhomes Central Park Apartments which varies from 50sqm to 200sqm helps buyers, customers and secondary investors easy to choose, easy to buy a matching one with their needs. Investors of Vinhomes Central Park owns a good financial capability so they can provide a good opportunity for you to stay or long-term investment for rent with diverse apartment: 53sqm; 80sqm (2 bedrooms); 83sqm; 120sqm (3 bedrooms); 147sqm. 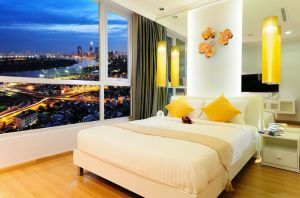 The total cost of all apartment is relatively consistent with customers. 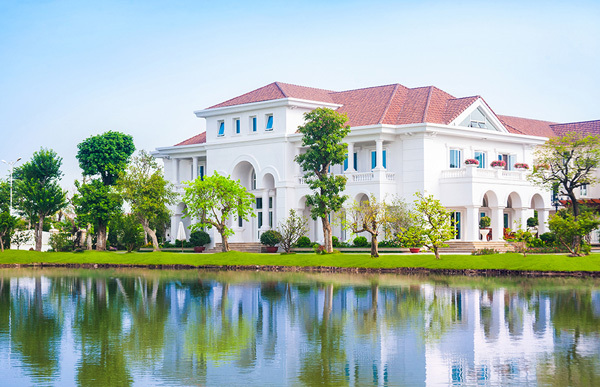 + Taking inspiration from the famous New York Central Park, Vinhomes Central Park Newport is brought into a green urban, modern and most advanced in Vietnam. 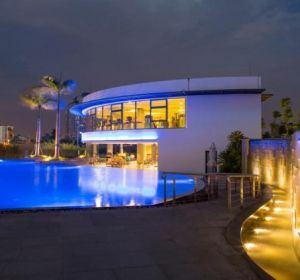 + Vinhomes Central Park Residence is prioritized on development of greenery and green environment. Nearly 14 hectares for parks and greenery, Vinhomes Central Park will become the largest green park besides Saigon River. + Along with river frontage stretching more than 1,1km, Vinhomes Central Park Newport Residence will bring a green living space in the heart of Ho Chi Minh City and become the new green lung for this City.